Although I missed the trend that was the mullet (I rocked a killer bowl cut) I hear its tag line was something similar to "business in the front and party in the back". The mullet's iconic tag line reminds me of the tag line I am giving this outfit-- "summer on top and fall on the bottom". If you have read any other posts from Texas (or Southern for that matter) you know we don't get real seasons around these parts and so we live in the in-between and so do our wardrobes. Tunics basically fit the bill for the in-between wardrobe. The downside to tunics are they are caught in the middle of a debate that has pitted fashion lover against fashion lover-- are leggings really pants? For the record I think they are*. *when you wear them with with these awesome tunics. Lip color is ON POINT. I love. And the last picture is one of my favorites of you (minus the ones from my wedding because obviously those are my all time favorite ever). Love love love the tunic on you! Such a pretty fall color :) is it from Anthro? I think I recognize it! Btw I'm so proud of you for rocking your boots! These 90 degree temps need to just go away, I want to pull my boots and scarves out desperately! Ah yes, the middle wardrobe. Thanks Texas seasons! I wrote a whole blog post about the leggings as pants debate -- things got heated. Love this outfit, and I would have to agree that in Houston leggings totally should be considered pants! 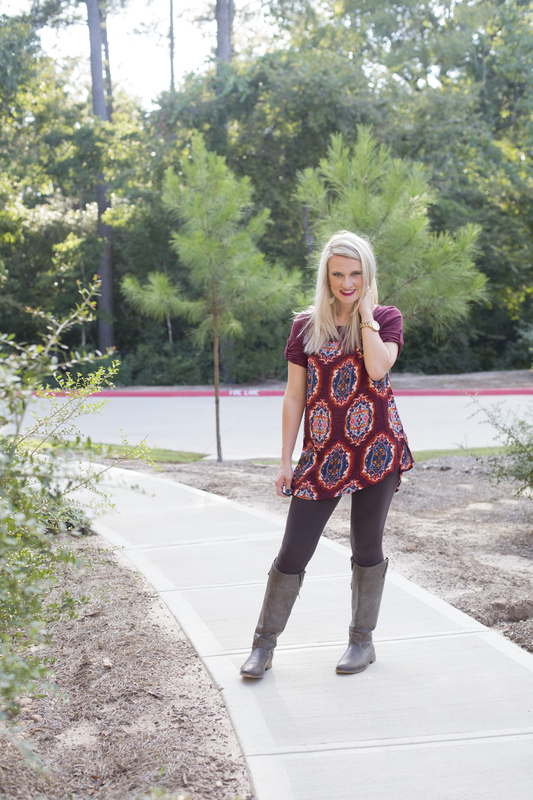 I LOVE this tunic on you! And that lipstick is KILLER. Hahaha the mullet. Oh lordy. 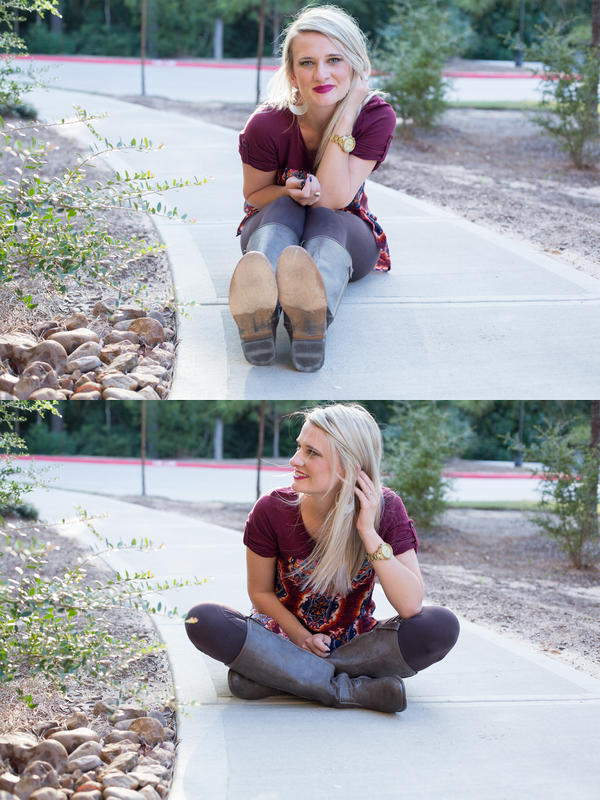 I love this tunic and your boots are gorgeous!